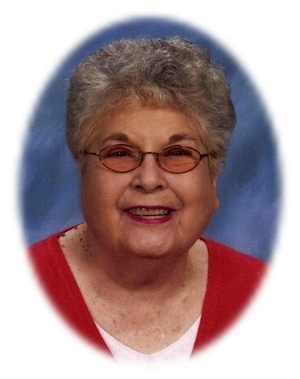 Obituary – Nelson, Evadna « Perry High School Alumni Association, Inc.
Evadna Nelson, 82, of Perry, Oklahoma was the daughter of Harry and Fern (Edwards) Nelson. She was born March 4, 1925 in Morrison, Oklahoma and died Monday, July 30, 2007 at Perry Memorial Hospital. Evadna was a member of the First Christian Church in Perry. She was a bookkeeper for McClellans and TG&Y. She later was a first deputy in the Noble County treasurers office where she was employed until retiring in 1987. Funeral services will be at 3:00 p.m. Thursday, August 2, 2007 at the First Christian Church in Perry. Rev. Martin Foster will officiate. Interment will be in Grace Hill Cemetery. Services are under the direction of Brown-Dugger Funeral Home. Memorials may be made to the First Christian Church or the charity of the donors choice in care of Brown-Dugger Funeral Home, 1010 N. 7th Street, Perry, Oklahoma 73077. Evadna is survived by one sister, Margaret Seeliger, of Perry, Oklahoma; five nieces and nephews, Judith Reichart and her husband, Alan; Keith Seeliger and his wife, Audrey; Penny Breen and her husband, Jeff; Georgeann Acker and her husband, Neil; and John Collins and his wife, Paula; and nine great-nieces and great-nephews.She was preceded in death by her father, Harry; her mother, Fern; two sisters, Clarice Tyler and Ruby Collins; and one nephew, Larry Seeliger.